We talk to a lot of sellers who have inherited property in Gladstone and are trying to determine how to go about selling it. 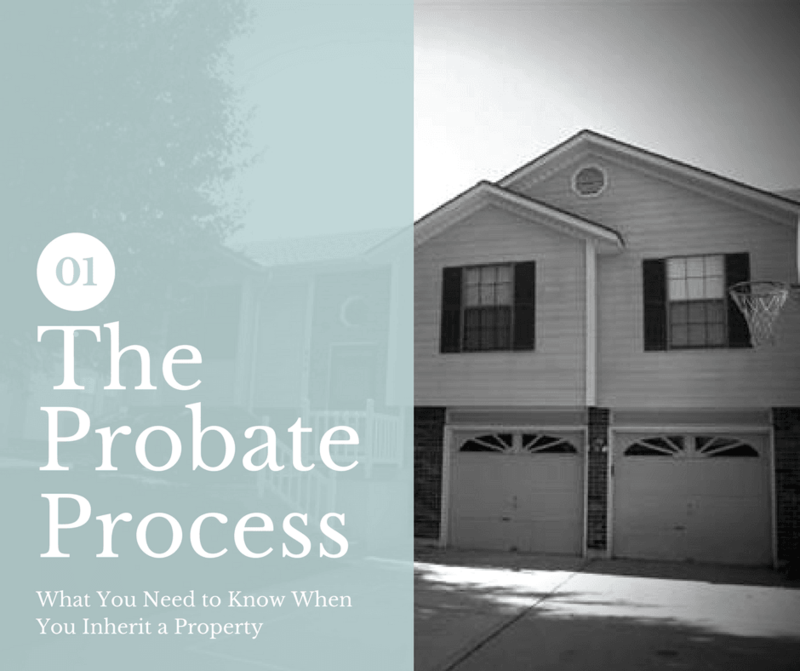 They have questions about probate and if and when they can sell the property. Today we want to take a look at the questions of what is probate and when is it required? Probate is the legal process through which a deceased person’s estate is properly distributed to heirs and designated beneficiaries and any debt owed to creditors is paid off. In general, probate property is distributed according to the decedent’s last will and testament, if there is one, or according to state law if no will exists. Collection of Assets which means you build a list of all the decedent’s assets and secure values on them to determine their estate. Payment of Debts that often include bills from their last illness, funeral expenses, any creditors, taxes, and the expenses incurred by the administration of the estate. Distribution of whatever is left to the heirs to the estate either according to the will or if there is no will, according to state law. Generally speaking, probate is only required when the person passes leaving a property in only their name or have rights to receive property as in the case of a debt owed to the deceased. But, not all property will be subject to probate. Generally, there are 4 ways the property will pass to a new owner upon death without going through the probate process. Properties owned in this manner will pass automatically to the surviving joint owner without going through probate. We often see that a husband and wife will own property in this way. Or we see a single parent add children to the title of their property in this way during their estate planning process so that their child or children can avoid the probate process. If you are not sure how property is titled, you can consult with a local title company to make the determination. We also talk to quite a few people who took the time to place all their assets, including their home in a Revocable Trust. These properties would not need to go through probate, but instead would be disposed of in accordance with the written instructions in the trust document. Generally, who inherits is decided by the will. But when there is no will, who gets what is decided by state law in the following manner. Generally, most states will award a large portion of the estate to the surviving spouse and the remainder to the children. And in the case of underage children, they would appoint a guardian for the children. Married with No Children or Grandchildren. In some states, everything will go to the surviving spouse and in other states, the parents of the deceased ay get a share. The estate would be divided equally among the children. And if an adult child of the decedent has also passed, their share would then be divided by his or her children. Single Person With No Children or Grandchildren. In most states, the estate would go to parents and if there are no parents, then the estate would be divided among brothers and sisters. If selling you are selling an inherited property, we will be glad to answer any and all questions and to make you an all cash offer, closing quickly with you making no repairs. Contact us by phone at 816-800-9044 or fill out our form to tell us about your situation.